In the 21st century — and beyond — it’s critical to evaluate the capabilities and efficiencies of a resource that we all use every single day: our water and wastewater systems. Developing sustainable, reliable systems extends beyond the design and execution phases. Because every solution comes with a price tag, it’s crucial to overcome funding challenges that impact ratepayers, especially those in communities with limited flexibility in financing structures. Engineers and policymakers worldwide are increasingly tapping into the public-private partnership (P3) model to balance infrastructure financing needs and socially conscious investment goals. Look around you, and you will see the benefits of P3s — such as a higher likelihood of meeting cost and schedule objectives — taking place in transportation, social infrastructure, and education. Overcome the myth of privatization. P3 arrangements are on the spectrum of strategic outsourcing to privatization (partial and full). This is often the first obstacle leaders must overcome before healthy curiosity can take charge and open the door to a better understanding of tools that are available to tackle water challenges. Do your homework. Take the opportunity to become educated on the topic by seeking guidance from industry professionals. Simply seeking answers on the internet can be like diagnosing a health problem without consulting a doctor. Take advantage of industry experts within DBIA and WDBC, who can help you determine the best course of action to address funding, financing, and the delivery of solutions to meet critical community needs. These industry pros have countless resources from specialists and real-life success stories to help you get started. The lifecycle cost of the system is more important than the initial cost of capital. Often, community leaders look at financing a project as they would a credit card statement. Instead, think of the long game versus a one-time investment: Water projects are complex, and the true cost is greater than just the initial capital investment. Nonconventional delivery approaches can provide cost and time savings that extend beyond the initial costs associated with the projects. This translates to a better value for the ultimate customer — ratepayers. Capture the benefit of collaboration. Collaboration is the key ingredient in a recipe for success. Water touches us all in some way, shape, or form. 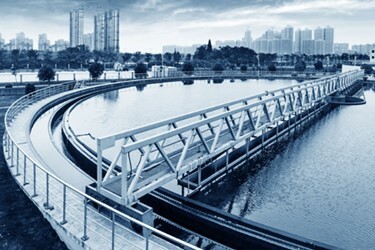 Whether it’s used as drinking water, in industrial applications, or for wastewater, reuse, or stormwater systems, water has many complexities. When we collaborate — and the right individuals have a seat at the table — better decision-making occurs, connecting the dots between systems, creating synergies, and delivering better recycling strategies. P3s help form greater collaboration from the get-go. The cycle of water is complex. The best solutions and the highest probability of success occur when relationships between the public and private industry are merged with a common goal. The better the collaboration, the greater the potential for delivering the highest benefit to ratepayers to address current issues and eliminate the reoccurring challenges our industry faces. As the Southwest regional water leader for Burns & McDonnell, Dave Kinchen is responsible for expanding the firm’s water services and growing the team of engineering, construction, and design professionals to deliver water and wastewater solutions for municipalities, utilities, and industrial clients. With more than three decades of experience, he has led multidisciplinary teams and managed nearly $1 billion in projects across multiple industry sectors, including municipal and industrial water and wastewater. Dave is an active board member on the Water Design-Build Council and served as its president in 2015. He is also active on the national water/wastewater committee for the Design-Build Institute of America, currently serving as president of the Dallas/Fort Worth chapter and is a member of the Water Environment Federation and the American Water Works Association.